Mississippi has revamped its request to impose work requirements on its Medicaid beneficiaries, a move to address federal concerns that its original proposal would have left some without insurance. In the overhauled proposal, Mississippi guarantees beneficiaries will receive up to 24 months of coverage if they comply with the proposed work requirements, which include working at least 20 hours per week, volunteering or participating in an alcohol or other drug abuse treatment program. Mississippi submitted its initial request late last year. It's unclear what, if any, impact a recent federal court ruling overturning Kentucky's work requirement waiver could have on the review of this new application. The Trump administration is expected to appeal the Kentucky decision. The revamped application comes weeks after CMS Administrator Seema Verma said her agency was working with Mississippi and other non-expansion states to avoid the so-called subsidy cliff, where a person earns enough to be ineligible for Medicaid but not enough to qualify for financial assistance on the individual insurance exchanges, leaving them without coverage. A spokesman from Mississippi's Medicaid office did not return a request for comment. The CMS has already approved work requirement waivers in Arkansas, Indiana and Kentucky—all of which expanded Medicaid under the Affordable Care Act. Kansas, Maine, Mississippi, Utah and Wisconsin—all of which are non-expansion states—are also asking to require Medicaid enrollees to be either working or looking for a job to qualify for coverage. South Dakota, Tennessee and Virginia are also planning to submit such requests. So far, South Dakota is the only other non-expansion state to factor in concrete steps to avoid the subsidy cliff as part of its work requirement request. Advocates in Mississippi remain alarmed about the work proposal as the revamped policy could still lead to loss of coverage. Any person who works 20 hours per week in a minimum-wage position would earn $7,540 annually, but the state's income eligibility cutoff is 27% of the federal poverty level, or an annual income of $4,444. "Ultimately the changes do not protect Mississippi Medicaid enrollees from experiencing loss of healthcare," said Roy Mitchell, executive director of the Mississippi Health Advocacy Program. In addition, there aren't enough high- or moderate-paying jobs in the state to ensure that a person can work their way up to tax credit eligibility on the exchange or to obtain employer-sponsored coverage, Mitchell said. Mississippi officials have said as many as 56,000 enrollees, mostly parents and family member caregivers, will be eligible for the work requirements. 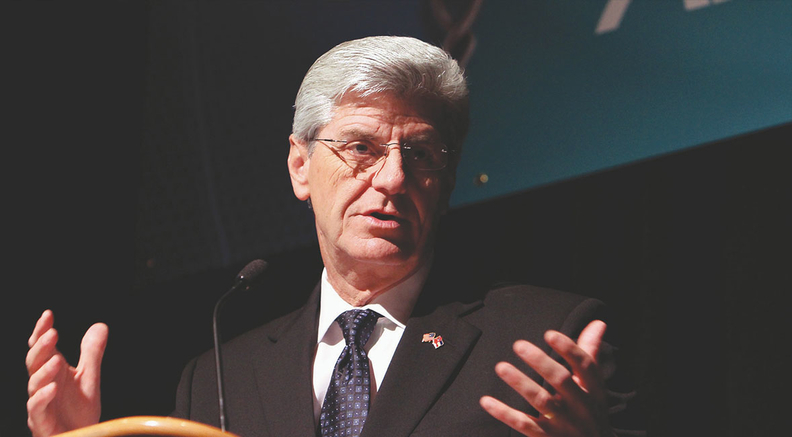 Mitchell expects Mississippi Gov. Phil Bryant to continue to push for the waiver even after the federal ruling on Kentucky's waiver, as the GOP governor views Medicaid as a program that should be temporary for its enrollees. The 24-month continuous coverage proposal also drew criticism from the right. Conservatives preferred the initial application, and they worry the new version doesn't offer enough of an incentive to get enrollees off Medicaid. "The administration should keep a close eye on whether this arrangement leads to long-term employment gains, or whether it just becomes another form of dependency," said Jameson Taylor, vice president of the Mississippi Center for Public Policy, a conservative think tank. "Not only for employees but for employers who have a reduced incentive to offer employer-based health insurance."